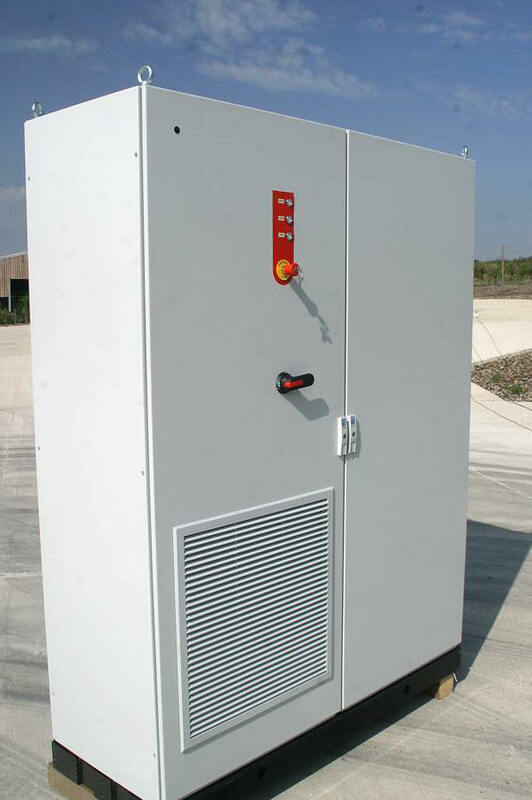 15kW inverter originally designed to drive permanent magnet synchronous motors at up to 80,000rpm, it has since been adapted to run to over 200,000rpm, and also as a grid-connected inverter. 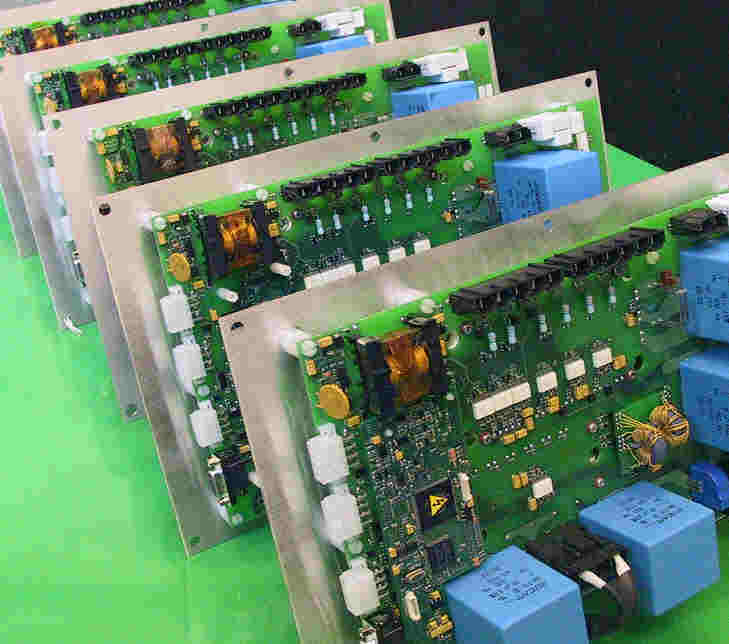 Employing special techniques to minimise power losses in high speed machines, this is a sensorless controller - essentials for reliability. 30,000rpm and over 100kW this water cooled alternator is used in renewable energy applications. Increasingly there is a demand for high speed motors and alternators, of all sizes. Typical applications are for close coupling to turbines. A motor driving a turbine provides compression. A turbine driving an alternator provides power. TSL Technology can design or adapt a motor or alternator for you. Once the requirements are established - power and speed, special application requirements like availability of cooling fluids, we conduct a preliminary sizing based on electromagnetic design calculations and examine the mechanical issues. From this the detailed design can be carried out, entailing bearing selection, rotordynamic analysis, electromagnetic FEA, thermal analysis, rotor construction and integrity and the overall mechanical package. Bearing types include ultra-precision rolling elements, liquid and gas hydrodynamic and hydrostatic film bearings. At high speed every electrical, mechanical and thermal detail counts. Whether generating power or operating as a motor, you will need a matching power electronics inverter. Invariably there will be software and algorithm requirements, like optimised power transfer, that are special to our application. With inverters ranging from a hundred watts to hundreds of kilowatts and a special expertise in high speed, we can always find a solution for you. TSL Technology can design or adapt a motor drive, grid-connected inverter or power supply for you. Our business is special-to-application products. So while we have few catalogue products, we do have many high torque motors that can be used to replace geared systems, can run immersed in fluids, can operate at high temperature. Take a look on our web site at the other market sectors we serve. Our range of expertise can help you solve many tough engineering problems and very often the motor and inverter is just part of the job.